Each side with excellent trimming and end-rounding effect, due to one-to-one station mechanism. PS. Power, Air consumption and Dimensions will be adjusted based upon different machine models. 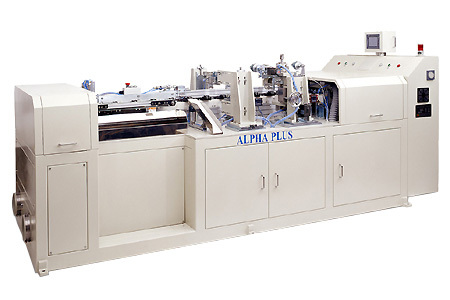 © 2008 ALPHA-PLUS MACHINERY CORP. All Rights Reserved. Factory : No. 41, Lane 240, Chunghsin North St., Sanchung City, Taipei Hsien, Taiwan, R.O.C.